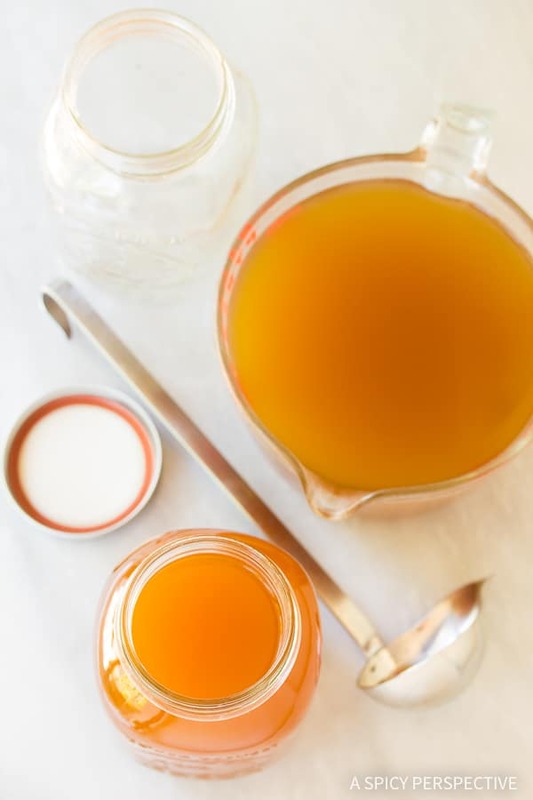 Use up your vegetable scraps and save money with today’s tutorial: How To Make Vegetable Stock. 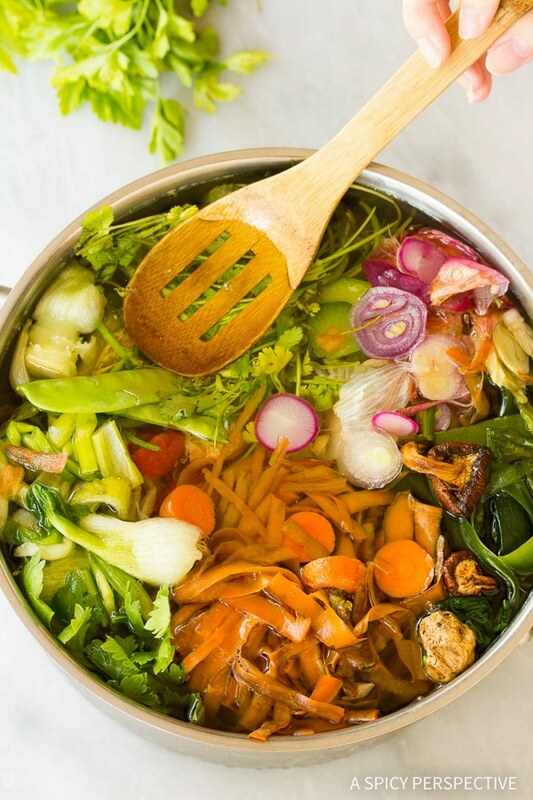 So, you want to know How To Make Vegetable Stock. Good for you! You have come to the right place. 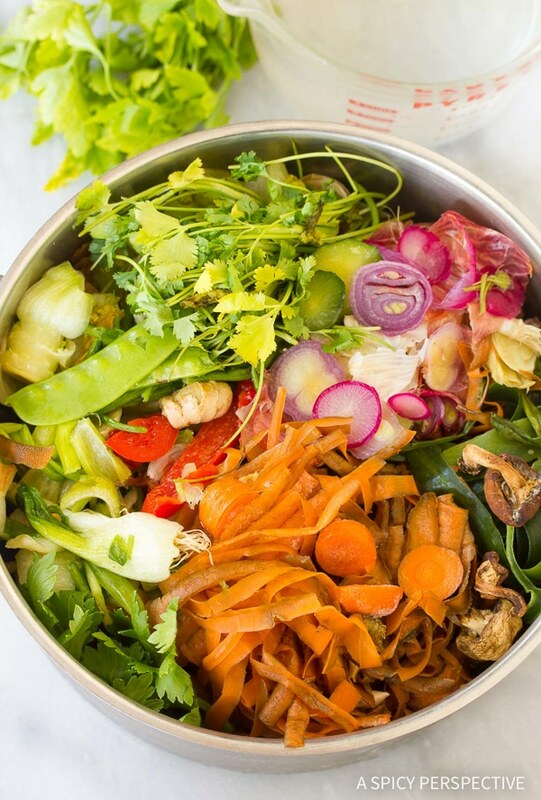 You must already know how healthy it is; all those delicious vegetables just waiting to release their vitamins and minerals into a flavorful stock. You might be imagining shopping at that high end market for those perfectly ripe, perfectly fresh prize-winning vegetables to make the best stock ever. If that is your desired way of How to Make Vegetable Stock I wont stop you. If you already eat a variety of veggies you are half way there. You can make a great stock from just your vegetable scraps. As a self-proclaimed Resource Optimization-ist, (frugal, thrifty, penny-pincher) this is a great way to get more bang for your buck. Every time I cut peel or prep veggies I pop the “undesirables” into a zipper bag in my freezer. Check your fridge for anything past its prime… Wrinkly or wilted produce you know you wont eat. 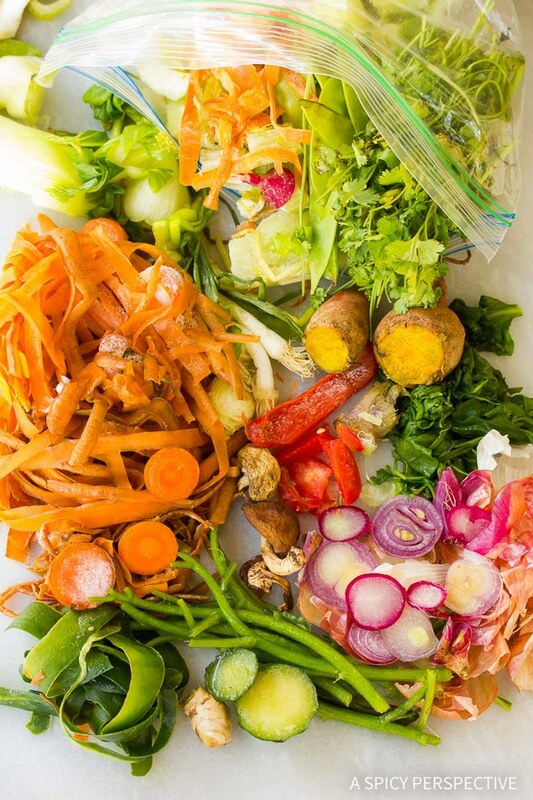 If you compost, this is one more use for your produce, before it hits the compost pile. Save it up till you have a big bag or two. That way, you won’t have to buy a thing for your stock. Don’t fret if you have no scraps or undesirables. 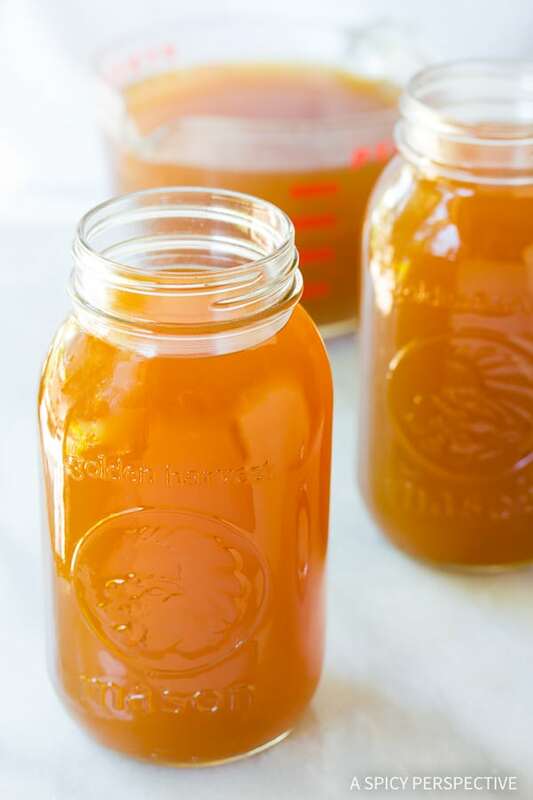 I will tell you How to Make Vegetable Stock from fresh veggies too. Just wash and chop what you have. There’s no need to peel since you will be discarding it in the end. 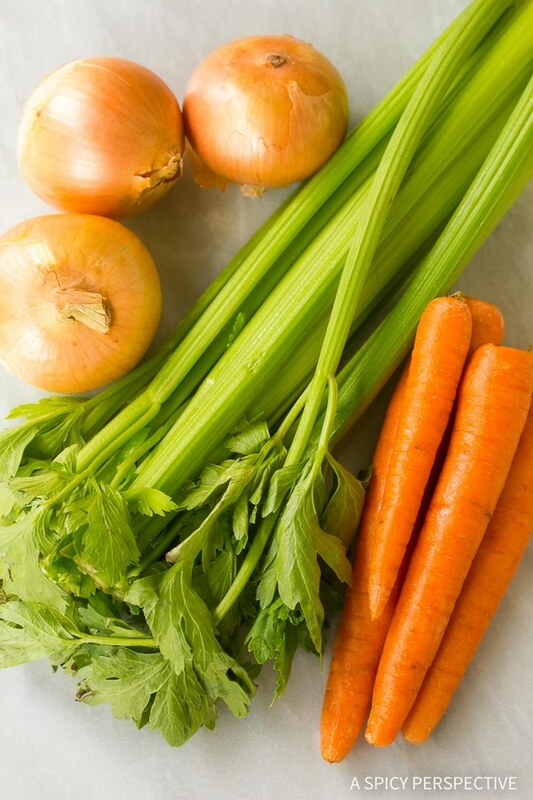 Begin with your basic “Mirepoix” of vegetable scraps: Carrots, celery and onions. After that add what you like or have on hand: Greens, zucchini, garlic, mushrooms, peppers, tomatoes, potatoes, herbs, etc. You may want to add cruciferous vegetables (like cabbage, brussels sprouts, broccoli, cauliflower and such) sparingly to avoid bitterness. You can customize your stock with the flavors you like or to be used in a specific dish. Personally, I do not add seasonings at this point. 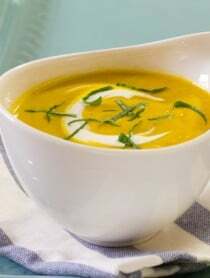 In making a stock you are extracting flavors, colors and nutrients from the vegetables. 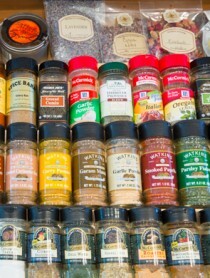 You are making the base of flavors to build upon for many possible recipes. For quality control, it’s better to add salt to specific recipes, instead of the stock. 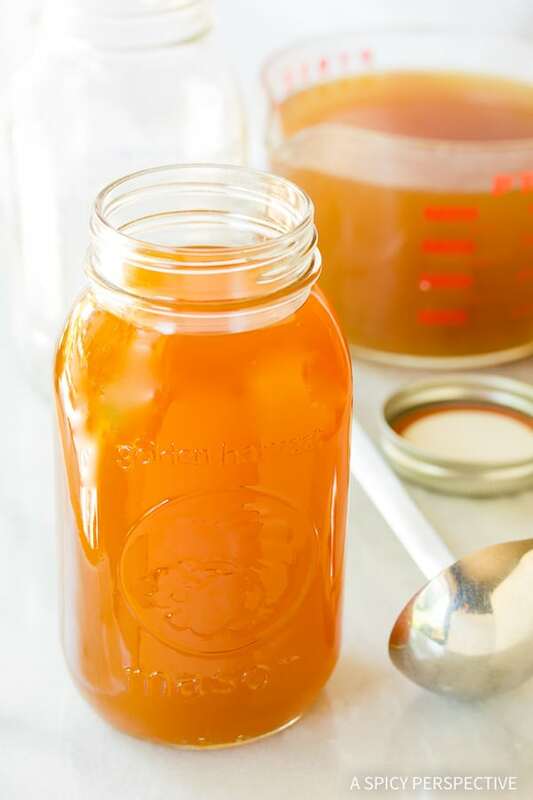 Homemade Vegetable Stock is great for soups, stews, and sauces. 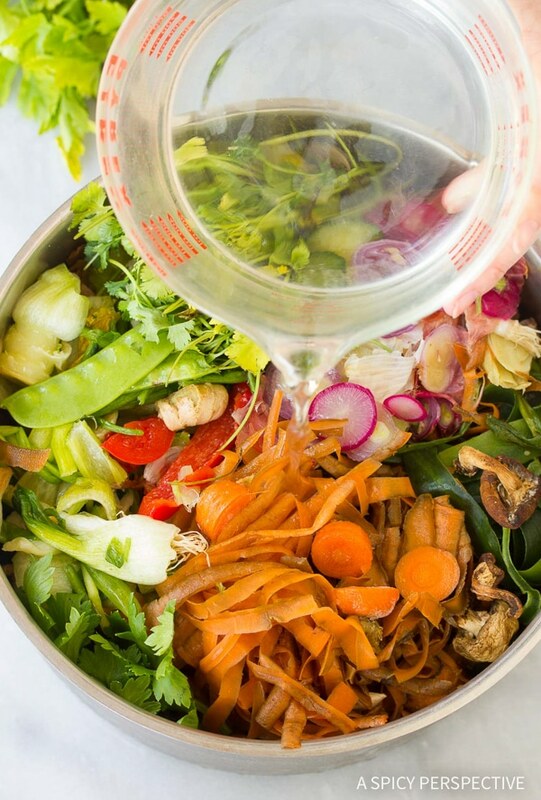 You can use your Homemade Vegetable Stock instead of water to add extra flavor and nutrients to rice, quinoa, legumes, pastas and more! 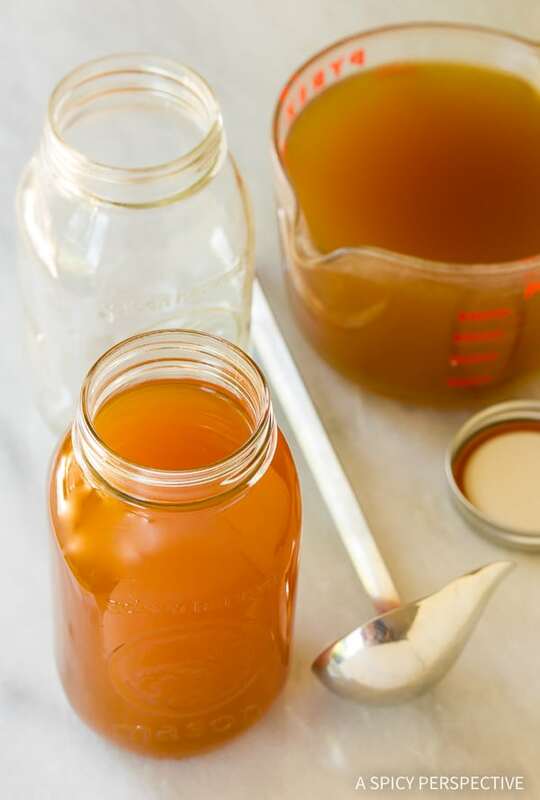 How To Make Vegetable Stock - This easy vegetable stock (broth) recipe will help you make the most of your vegetable scraps and save money! Fill a large stock pot with vegetable scraps, about 3 quarts. Add enough water to cover, pressing down the vegetables until submerged, about 3 quarts. Cover and bring to a boil. 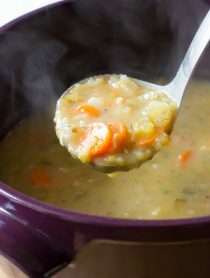 Turn the heat down and simmer for 35-45 minute until all vegetables are mushy and flavors have been released. Cool and strain, pressing all liquid from vegetables. If using right away you can skip the cooling process. To store cool completely. NOTES: For a clearer stock, omit starchy vegetables. It is easy to make whatever amount you would like by using a ratio of 1:1 as long as the vegetables are covered with water, you are good. I often make my stock in a large crock pot. This stock is made without salt, so you have better control over seasoning recipes.